From the Genesis to the Tucson, Hyundai produces a lot of quality vehicles. However, no matter how much you pay or how carefully you drive, there’s always the possibility that something will happen to dent your vehicle. This is where Paintless Dent Removal (PDR) comes in. Paintless Dent Removal carefully fixes dents from behind by massaging the metal back into place. Unlike bonding repair techniques, PDR completely avoids touching your paint job so there won’t be any unsightly marks or scuffs when the job is done. There are no odd bonding agents of chemicals, either, so the process is environmentally friendly as well. This is the same technique that many dealerships use to fix vehicles still on their lot. 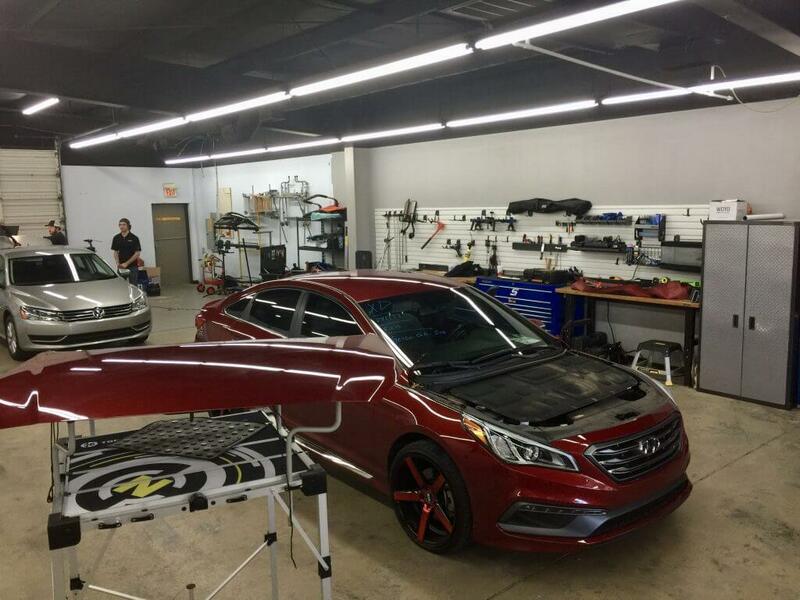 Body shops are the best choice if your Hyundai has real damage to it, but they’re also slower and more expensive than PDR. Here at EZ Dent, located in Athens, GA, we don’t think you should have to lose your car for a few days just to get a few dents repaired. Instead, we’ll set a flexible & convenient time slot for you at our clean, approachable shop – and work with you to make the repair as a quick and efficient as possible. How Fast Can You Fix My Hyundai? Most dent repair jobs are finished in one hour or less. If your vehicle has particularly severe damage – numerous small dents after a bad hailstorm, for example – repairs may take longer than usual. We can give you a more exact estimate once we see the damage. *Disclaimer – EZ Dent is not affiliated with Hyundai or authorized Hyundai dealerships. For more information about how EZ Dent can help you, or to schedule an appointment and get those dents removed, contact EZ Dent today.